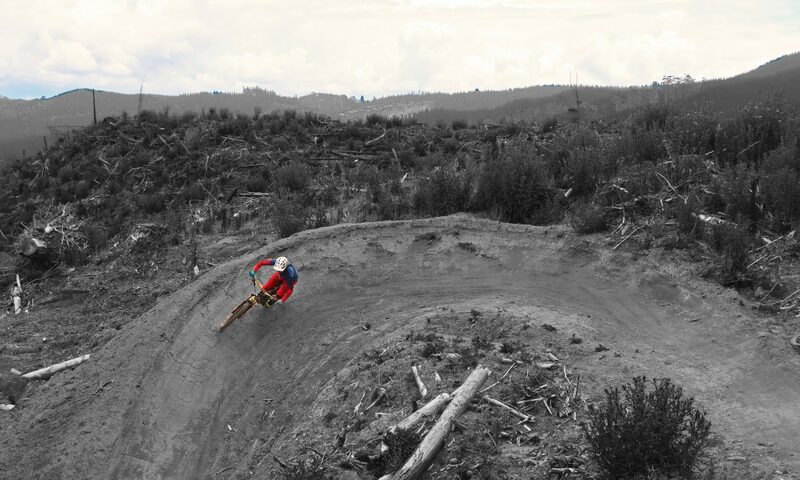 No doubt, Moab is the world’s most famous mountain bike spot. The classic ride in Moab is the Slickrock Trail – an about 18 km long dotted line on pale red rock and still a unique experience. The moderate total elevation gain and length may let the ride look easy, yet, it is a challenging ride, due to the many short, steep climbs. 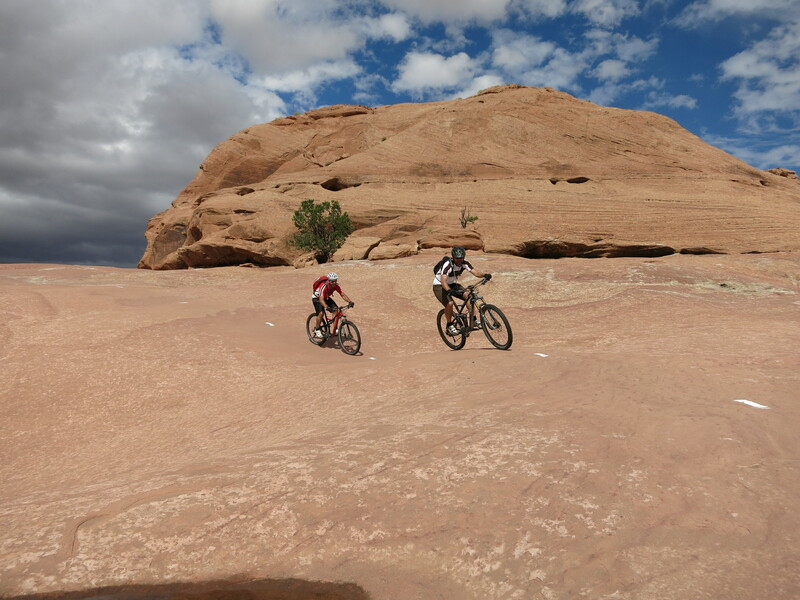 Even if there are rides with more fun, flow or adrenaline in Moab, the Slickrock Trail is the one you just have to do. The “Mag7” name’s origin comes from 7 magnificent trails in the upper area of Gemini Bridges Road. And I fully agree that they are indeed magnificent. This is the sort of Moab-ride you dream of: views of Arches N.P. and other bizarre rock formations, tight turns, slickrock and red dirt, flow and fun. Mag7 is best done as a shuttle ride starting from the upper end of the Gemini Bridges Rd. Bull Run is the first Mag7 trail you hit. After Bull Run you have the option to go back up the dirt road to do the Getaway Trail for extended fun and even more flow. Continue on Arth’s and Cyn Trail to get either to the Gold Bar Rim Jeep Trail that climbs up again to the Portal Trail or take Gemini Bridges Rd to connect to the Moab Brand / Bar M trail system. We decided for less climbing and exposure and did the nice and rather easy trails Lazy EZ, Rusty Spur and Sidewinder that brought us back in direction Moab. A paved bike path brings you back to Moab. Total length of the ride is about 50 km (30 miles). One of the best rides anywhere!